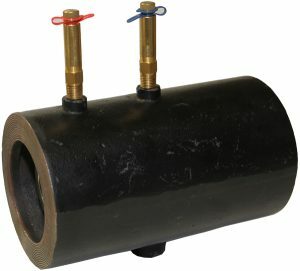 Model AW Automatic Balancing Valve incorporates a wafer style cast steel body with adjustable flow positioning plate. The removable flow cartridge(s) is factory set to automatically limit the GPM to within ±5% of the specified flow. Shipped with Rods and Nuts for use with customer supplied companion flange.